Terry Deary is the writer of the "Horrible Histories" series of children's books (among others), and has been involved in the TV show of the same name. In April 2009, just as the TV show was about to air for the first time, he kindly agreed to be interviewed by History-for-Kids. Hfk: How have you found making a TV show compares to writing a book? Terry Deary: Television is scary because I am not in control. The television company have bought the “Horrible Histories” name so they can do what they like with it. With a book I am in control and I can argue with the editors. The television company listens to me but they don’t have to. I enjoy the acting and it is wonderful to see what great script-writers have done with my books. Hfk: You have written about 200 books now. Have you covered all the topics you want to or are there still some left? Terry Deary: I have covered all the topics I want to in the 50 “Horrible Histories” but I can get on with my real love, writing fiction. People forget that over a hundred of my books are fiction. I get many requests from around the world to write “Horrible Histories” books on topics that interest them – things like “Bulgaria”, “Great Steam Trains”, and “Gargoyles”. They don’t seem to understand the Publisher decides what will be published and will only ask me to write a book if it will make money for them. A book on “Bulgaria” will NOT make money in Britain. Hfk: What advice would you give to the parents of young children who want to get their kids interested in history? Terry Deary: Every child is unique. The parent’s job is to find out what the child is interested in and nurture that. Parents can certainly turn their children OFF history by pushing it down their throats. History itself is not an interesting subject. The only subject worth studying is “people”. So people in the past can be interesting – dates and battles can’t. Hfk: What period of history do you think kids respond to best? Hfk: You must have researched more true stories of gore and cruelty than almost anyone else alive. Does it ever get to you? Terry Deary: I am not an historian so I take my research from researchers, I rewrite it for young readers then I forget it. There are just as many horrors in the world today as there were in history. We all live with them. Hfk: Have you ever considered writing a book about the history of a certain north-east football club? I am sure it would sell well in the club shop. 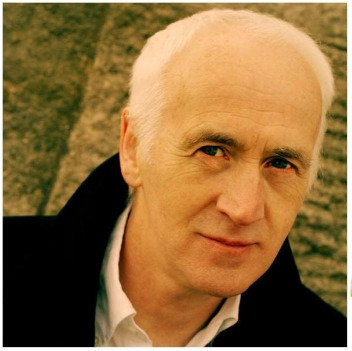 Terry Deary: I have a list of books planned up until 2012 and most of them are fiction. If I stopped work on them to write a book on a football club, then I would lose money. Writing a football history not something I’d want to do. I am a children’s author and am happy to let other people write adult history of things like football clubs. Hfk: What are your plans for the next 12 months? Terry Deary: My working life is extremely crowded this year with some extraordinary projects from a HH Nintendo Wii game to a Garmin satellite-navigation/history project with Stephen Fry and a major HH Imperial War Museum exhibition on top of the usual book-a-month schedule. I have to fit in developments in animation of my books, theatre tours, Hollywood film ideas, radio appearances and newspaper writing (Column in “Daily Mail” Saturday supplements starting later this month.) In July English Heritage have me lined up to front a new imitative over the summer called 'Time Travellers Go' and there is the ongoing “10 Minute Tales” project to bring Shakespeare to mobile phones and the internet. The more successful you become the more people want a piece of you ... and there are only so many pieces to go around. Hfk: Terry, thank you very much for taking time out of your busy schedule for us, and good luck with all those projects.